Biometric Fingerprint Lock | Nerd Much? We’re on a never-ending quest to make our homes resemble 1980s sci-fi movies. And one often overlooked upgrade is the typical front door lock. 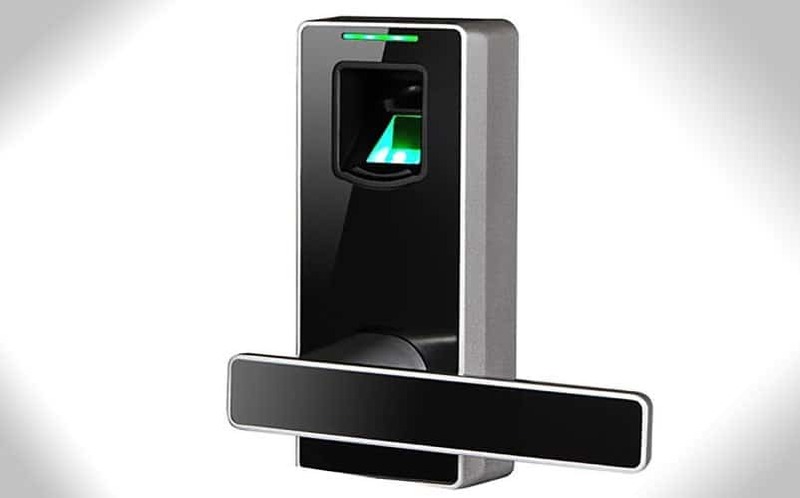 Now, with the Biometric Fingerprint Lock, you can lock and unlock your home with only your fingerprints. You’ll never have to worry about losing your set of keys or having someone pick your locks while you’re away on vacation, as the only way to enter your home will be with the use of your own fingerprints (and whatever fingerprints you tell it to allow). It’s easy to program and install, with no wiring required, and it comes with installation how-to videos and free phone support if you can’t figure it out. But you can figure it out; we have faith in you. It has an LED indicator and built-in buzzer, as well as a low battery warning when you need to change the batteries. It fits most standard doors. This lock by uGuardian also has a two year guarantee. We’re actually surprised that these fingerprint locks aren’t more prominent by now, given the fact that we’ve had similar technology on our laptops already for years.